Mega Brands et Nickelodeon ont annoncé, en prélude à la Toy Fair de New York, l’extension de leur accord de licence ouvrant la voie à des sets Mega Bloks Bob l’éponge. Les premiers produits issus de ce nouvel accord seront disponibles à l’automne 2014. 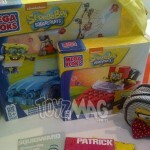 MONTREAL and NEW YORK, Feb. 11, 2014 /PRNewswire/ – Gearing up for an exciting New York Toy Fair, MEGA Brands Inc. announces an expansion of their Mega Bloks kids’ construction toys portfolio for 2014 with Nickelodeon’s hit animated series, SpongeBob SquarePants. Toy insiders will get a preview of the new MEGA BLOKS construction line hitting stores this fall at the American International Toy Fair in New York City (Booth #751). 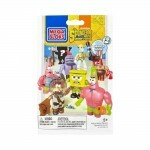 Mega Brands’ licensed partnership with Nickelodeon is expanding to offer an exciting range of SpongeBob SquarePants construction toys for fans to build their favorite characters and their very own under-the-sea universe. 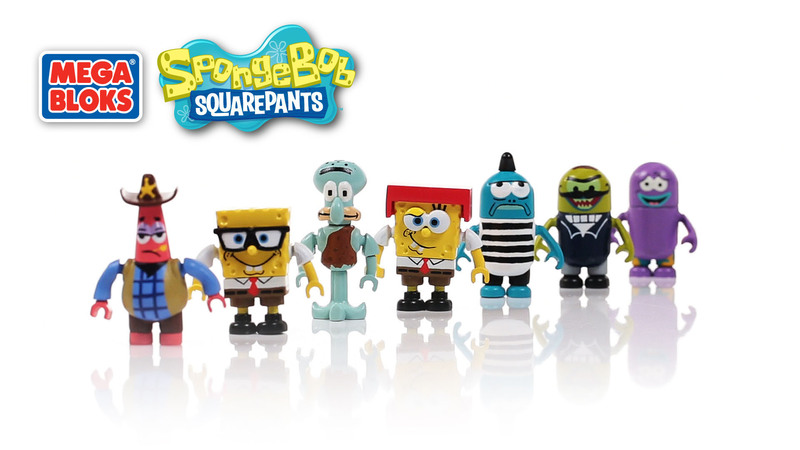 Starting Fall 2014, kids can find Mega Bloks SpongeBob SquarePants in the construction toy aisle. Since its launch in July 1999, SpongeBob SquarePants has become one of the most beloved animated characters in TV history, and a global pop culture phenomenon. In its 14th year, the series continues to rank as the number-one animated series with kids 2-11 on all of television, as well as one of the most ‘liked’ animated series on Facebook, with more than 100 million fans. Over the past several years, SpongeBob has averaged more than 100 million total viewers every quarter across all Nickelodeon networks. For more information, please visit the MEGA Brands booth at the American International Toy Fair, Jacob K. Javitz Convention Center, New York City, booth #751 from February 16th to 19th, 2014. MEGA Brands (TSX: MB) is a trusted family of leading global brands in construction toys, games & puzzles, arts & crafts and stationery. They offer engaging creative experiences for children, families and collectors through innovative, well-designed, affordable and high-quality products. The MEGA Brands headquarters is in Montreal, Quebec, Canada, where the company was originally founded by Rita & Victor Bertrand over 40 years ago. The Montreal facility houses an International Design Center and North America’s Biggest Toy Factory, where hundreds of people make millions of MEGA BLOKS products every year. Nickelodeon is one of the most globally recognized and widely distributed multimedia entertainment brands for kids and family. It has built a diverse, global business by putting kids first in everything it does. 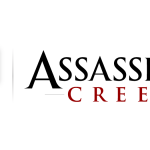 The company’s portfolio includes television programming and production around the world, plus special events, consumer products, digital offerings, recreation, books, feature films and pro-social initiatives. Nickelodeon’s brands are seen globally in more than 500 million households across more than 130 territories, via more than 70 locally programmed channels and branded blocks. Outside of the United States, Nickelodeon is part of Viacom International Media Networks, a division of Viacom Inc. (NASDAQ: VIAB, VIA), one of the world’s leading creators of programming and content across all media platforms. 2 Responses à " Mega Bloks : Bob l’éponge annoncé pour l’automne 2014 "
Oui et l’a très mal exploité, dommage car franchement elle était top.